While I have been putting the initial outlines together for my new book, I’ve been trying some new things to organize my thoughts and put together the pieces to start writing. I’ve had a great experience with Evernote, to capture all my ideas in one place, accessible from the cloud on most almost all of my online devices. My new iPad 2 works well for typing and collecting ideas. The iPad version of Apple Pages exports right into the Mac version. Overall things are coming together. But when I went to sit down and actually write, I noticed I was missing a few things. The main thing I was missing was a comfortable chair. When my wife and I moved a little over a year ago, some of our old furniture would not fit into our new house. One of the casualties of the move was a cloth couch with a recliner. This is where I wrote my first book and I knew that I had to do something to bring back the comfortable writing and creative experience. I realized right then that all writers need the following three things. 1. A Comfortable Chair: When I am blogging or working on non fiction, sitting at a desk with an office chair works fine. The upright position facing a monitor works well with a mouse and the setup feels real businesslike. However, when I’m writing fiction or creative non-fiction I like the comfort of a recliner. This puts me away from a big screen and works well with an iPad or laptop. I can immerse myself into fiction much better when I’m comfortable and not distracted. This week I went in search of a new recliner. I was looking for something that was warm and inviting, that would recline sufficiently for sleeping, and fit my decor. After looking at a few places I discovered the ultimate recliner. This chair wasn’t just a notch above the rest, it was in a whole different league. 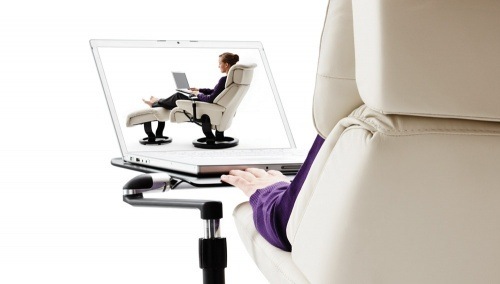 The Stressless chair, made in Denmark, has a zero gravity design, with built in lumbar support, full recline, and an adjustable headrest. It also offers a computer tray, a choice of colors and fabrics, and one outlandish price tag. I would have to write a bestseller to be able to afford this. Yet after days of looking, the chair keeps popping up in my mind. I know I can’t justify the purchase, but the places you could go while sitting in this are endless. You could close your eyes and be anywhere in the world. 2. Good Lighting: While having a great chair is paramount to good writing, having good lighting is also important. What I find works the best for me is an adjustable torchiere light that reflects off the ceiling. 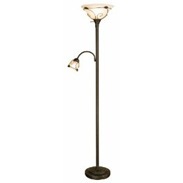 In looking at lamps I discovered that many of the new torchiere lights also have a side arm that offers a reading light. This offers the additional feature of being able to control the amount of light that shines down on your computer. For certain laptops this additional light may help you see the dark keys better. For people that live in areas that are overcast all the time, the Verilux natural spectrum light might be the hot tip. The natural spectrum lights simulates real sunlight and the adjustable design allows you to aim the light for the best writing experience. 3. Good Hot Coffee: While a comfortable chair and good lighting are necessary items for writing, good coffee is a must for creativity. The caffeine stimulates the brain, which drastically improves creative thought. While I can write non-fiction without coffee, good fiction requires at least two cups. This can be a problem. You can instantly lose your creative thought process if you have to constantly get up for refills. The answer is to have a coffee maker with a removable carafe. This allows you to take your hot coffee wherever you go. It also will keep the coffee warm for hours. 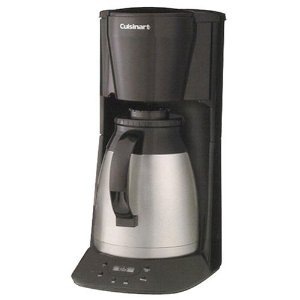 The Cuisinart coffee maker with removable carafe allows me to take my hot coffee along while writing. The thermal design keeps the coffee hot and ready to go on a table next to my chair. My favorite blend is Starbucks breakfast blend. I find that I like to mix caffeinated coffee with decaf to reduce the caffeine in each cup. This allows me to enjoy the good effects of coffee with out the jittery side effects. If you enjoy beverages other than coffee, you can get a standard thermal carafe for any hot or cold drink and keep it alongside your chair to keep you writing for hours at a time. Update: After shopping for furniture for hours my wife and I decided on a lower cost alternative recliner. 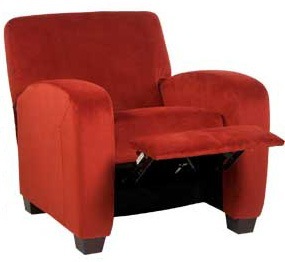 The Adele push back recliner from Plummer’s furniture is covered in soft microfiber and doesn’t take up much space. It’s simple push-back operation makes it ideal for writers looking for comfort and portability at a great price. 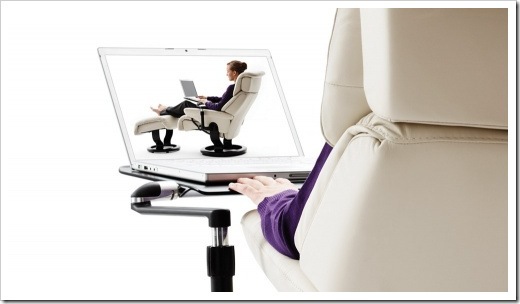 The soft arms and easily adjustable recline position work well with my laptop or iPad. I’ll let you know how it works out over the next few months. Question: What items do you find necessary for writing?